From ancient times our holy leaf was used in native religious worships and in reading for future predictions. The visionaries have kept this practice from their parents and ancestors to the present day. The priest, paqo or “altomisayoc” asks for the name of the person and the motive of the visit. 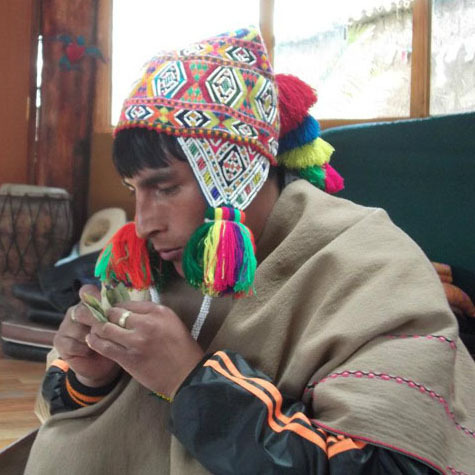 Then, he prays to the spirits of the mountains, called “Apus”; he raises three leaves and blows them towards the mountains while he prays and then he spreads a handful of coca leaves over a colored cloth (unkuña) and observes the position of the leaves. This way, the dialogue between the paqo and the visitor starts.